Now that the Regal Turbo stocks the same powertrain as the GS, it's an easier call: spend more for an adjustable driving feel, or take the Regal's well-tuned chassis at face value. It's the best driver's car in the lineup, and the 2014 Buick Regal adds better infotainment and safety--with a slight cut to the GS' power. 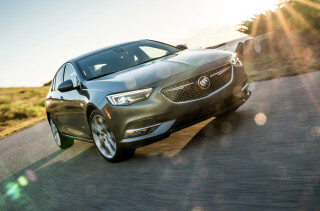 The mid-size Buick Regal is the GM brand's best sedan, and one of the best-looking vehicles built by the company, too. New back in the 2011 model year, the Opel-derived Regal merits some upgrades that bring it closer to the premium-sedan ideal for 2014, including a new turbocharged engine, along with a new infotainment system and safety gear. It wears one of the most sepia-toned names in the stable, but the Buick Regal is endowed with Euro manners, since it's a close copy of the Euro-market Opel Insignia. It's striking for what it isn't. 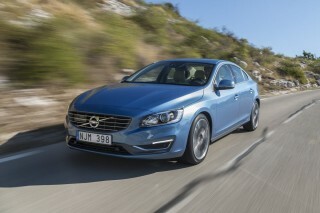 It's not rear-wheel drive, and none of its engines have more than four cylinders. The Regal's big optic hook—the Nike-like swoosh stamped into its flanks—hasn't been altered. It's still one of the best-looking cars GM builds, and the LED "wings" factored into its headlamps and taillights add a little more depth to the brilliant design. The grille's been retouched, and a metallic band now connects the taillamps. The tasteful cabin merits its own upgrades for 2014. First, the tech: an 8.0-inch touchscreen mounted in the dash replaces last year's smaller screen, and a new 4.2-inch screen wedged between the gauges supplements the touchscreen by featuring nav, phone, system, and audio information for the driver. For Regal GS models, that 4.2-inch screen is upgraded to an 8.0-inch screen that changes depending on selected driving mode. Buick's shield of controls better wraps around the new 8.0-inch screen, and two-tone themes with wood trim make the interior cabin a little classier. The Regal has a split personality this year, depending on trim. The Regal eAssist mild-hybrid version is the frugal pick for 2014; it blends an inline-4 with a small battery pack and electric motor for 182 net horsepower. It falls down compared to full hybrid systems such as the Ford Fusion and the Buick eAssist just isn't as refined as some of the other Buicks we've driven in recent years. The other Regals are where enthusiasts flock, and for good reason—and it's in them that the biggest changes take place. The Regal Turbo and Regal GS now get a single turbocharged 2.0-liter four-cylinder to replace last year's last-gen turbo four, which was offered in 220-hp and 270-hp spec. The twin-scroll, direct-injection unit is borrowed from other GM applications such as the Chevy Malibu and Cadillac ATS, and Buick has landed on a single output number for both cars instead of separating them by 50 hp last year. Both Regal Turbo and GS make 259 hp and 295 pound-feet of torque. That's 11 hp down from last year's GS, but up 39 for this year's Turbo (glass is always half full, right?) with 0-60 mph times staying identical. 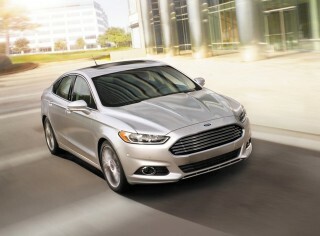 A 6-speed manual or automatic transmission is available in either car. All-wheel drive is available in the Regal too, with an electronically controlled limited-slip differential holding court between the rear wheels to aid traction. The Regal's smart ride is still intact—tamed dampers borrowed from the Germans, smooth ride preferred by the Americans, and electric power steering that's not too heavy preffered by us all. All-wheel drive adds better power into corners, something we thought we'd never say about Buicks anyway. The GS is the only way to get a third pedal, and the only Regal to have Interactive Drive Control, which tunes the suspension, throttle, and steering. The Regal GS won't be confused with many sports cars or sport sedans, but it's our favorite because it offers a sporty ride without sacrificing comfort. The Regal's excellent safety scorecard should carry over from previous years. This year, the Regal adds a rearview camera as standard, and offers optional forward collision warning, blind-spot monitors, adaptive cruise control, lane departure warning, and parking sensors. Buick updated the Regal's infotainment system this year, which they call IntelliLink, to a simpler, brighter interface and removed the old knob controllers. The touchscreen can be configured with user-defined presets—anything from radio presets to destinations—and natural-voice commands seamlessly integrate into the system. Smartphone streaming adds a longer life to the system, and Bose audio adds premium sounds for interested shoppers. Regal might be too fusty a name for such a contemporary-looking four-door; it's one of GM's best designs. Today's Buick Regal should completely blot out the image conjured up by the awesome notchback Regals of the past—and even the more anonymous four-doors that wore the badge more recently. Since it was new in 2011, the Regal has worn its sheetmetal like athletic gear, tightly drawn, with a sporty swoop down its door panels. The remnants of Buick's past are few: the big 19- and 20-inch wheels are a nod to American tastes more than to ride and handling, and the waterfall grille has its fans (we're still split). The Nike-like swoosh is stamped into the sides is the best part: we say the Regal may be the best looking four-door GM sells. It's made better by LED wings in the headlights and taillights, and retouched bumpers that feature a metallic band that connects the taillights in back. The GS' front end is broken up with bladed, vertical air intakes. In back, the exhaust tips are reshaped, and the small decklid spoiler is a bit larger. The interior of the Regal has grown more handsome and simpler this year too. The shield of interior controls now fits better with an upgraded 8.0-inch touchscreen, and the sharply lit LED gauges are low and easy to see. Buick wedges a 4.2-inch screen between the gauges on some models for nav, phone, and system information, or an 8.0-inch screen on GS models that changes depending on driving mode. Regal shoppers can pick between a trio of trims inside that range between piano-black plastic, a dark shade of wood called Kibo, or a satin metallic trim that we think is the best pick among the three—it'll age better and won't be a magnet for smudges. The doors are trimmed with metallic inserts that look decidedly upscale, and black leather with white stitching found in GS models does too. The eAssist doesn't blend its power as well as other hybrids--but the Buick Regal turbos more than make up with composure and power. The 2014 Buick Regal trades in its twin turbocharged four-cylinders this year for a single engine. From our impressions in a brief first drive, there's less to distinguish the Regal GS from the other turbos—but now, only the GS gets the manual transmission and adaptive suspension, and those pieces do more than enough to distance the GS from the other Regals. Regal eAssist: too mild a mild hybrid? There's also an electrified Regal, the one outfitted with GM's mild-hybrid eAssist drivetrain. It returns for 2014, and it still suffers a fuel-economy penalty and a smoothness deficiency against most full hybrids in its class. On paper, the eAssist isn't wholly impressive. Buick pairs a 2.4-liter inline-4 with batteries and an electric motor for a total system output of 182 horsepower. That's shifted through a 6-speed automatic to power the front wheels only, but it's not overwhelming considering the system's weight. Instead of full hybrid systems found in competitors such as Ford, the Buick only uses batteries to power accessories and some systems like the oil pump. The batteries capture energy from the brakes, and sap the engine's torque a little to recharge. The eAssist neuters what we like best about the latest Buick Regal—its supple ride and capable electric power steering. None of today's Regals have a V-6, much less a V-8, but the new turbocharged four-cylinder that's standard on all non-eAssist Regals is a sweet-revving engine that generates strong acceleration. For 2014, both the Regal Turbo and Regal GS now get a single turbocharged 2.0-liter four-cylinder to replace last year's last-gen turbo four, which was offered in 220-hp and 270-hp spec. The new turbo's related to the one found in the Chevy Malibu and Cadillac ATS, with a twin-scroll turbo and direct injection. There's no longer a distinction between the two in output, however: Buick's settled on a single quote of 259 hp and 295 lb-ft of torque, down 11 hp from the last GS but up 39 hp in the Turbo. Buick says 90 percent of peak torque is available as low as 1700 rpm on the GS, and says 0-60 mph times should be identical to last year's model, at well under 7.0 seconds. On the mid-line Regal, the turbo four comes with the same six-speed automatic as before. In our first drive, this Regal turbo's undisturbed by the powertrain transplant. It remains a composed, quick performer with mainstream moves. It's muted well to near-redline revs, and as usual, GM's automatic clicks off shifts as well-damped as the Regal's ride. GM's new electric power steering doesn't load up with too much weight off-center, and doesn't feel antsy with an overly quick ratio, either. With struts in front and a multi-link rear end, the front-drive Regal is responsive enough, its handling tempered with a fair amount of lean. The Regal also can be fitted with a new all-wheel-drive system, one with electronically controlled limited-slip differential at the rear wheels and with a differently designed rear suspension to accommodate the drivetrain. It can split up to 90 percent of its available torque to the rear wheels, or shift torque between rear wheels with an electronic limited-slip differential. The result: better response to on-power cornering, and maybe more important, a few thousands more interested buyers who put AWD in the "must-have" bin. The Regal GS is still the version we'd choose, every time. It gives the Buick brand a new benchmark for precision, without falling over itself in homage to Germany's sport sedans (though at heart, it is one—it's based on GM Europe's Opel Insignia sedan). The Regal GS may not have its own stand-alone engine this time, but it has some carve-outs to call its own. The manual transmission now is limited to the Regal GS, and so is the three-mode Interactive Drive Control, which changes the responsiveness of its adaptive dampers, of the throttle and transmission and even steering feel. It continues to ride on a lowered suspension with beefier front struts, and on standard 19-inch wheels with all-season tires, while 20-inch summer tires are available. It's still a bit notchy, with just enough foot space to the left of the third pedal for wide feet, but the Regal GS' manual shifter connects well with the turbo four. The automatic goes without paddle shift controls, so no matter which one you pick, you'll be moving a hand from the wheel to change gears. If you're shopping for all-wheel drive exclusively, you'll have to take the automatic, and the slightly redesigned rear suspension. With either transmission, the Regal GS has a wider range of handling, and clear levels of resolution between the three driving modes. Out of the gate, the "Touring" mode is soft enough for any daily driver, but handles flatter and more cleanly than the base turbo. Even in Sport mode, the Regal GS doesn't tighten up in any unreasonable way. By the time it's progressively tightened up to the GS setting, the Regal still behaves in a way both of its names imply, while it tightens its reflexes to a sporty degree that's acceptably shy of the true sports sedans from BMW, Cadillac, and others. The Regal GS omits the overly heavy steering, the crazy-quick throttle of some of those cars, but doesn't have their nine-tenths precision, either. All-wheel drive amplifies the car's composure over scrubby pavement; the GS' big disc brakes have a reassuring bite, too. The Regal's back seat is a little tight, and truck space is on the small side, but the GS' front seats are sporty and supportive. On the spectrum of mid-size cars, the Buick Regal sits squarely in the middle. Its back seat and trunk don't net as much space, though, as some other popular mid-sizers. It's still comfortable for four adults, provided the back-seat passengers aren't larger people. At the midpoint in wheelbase and overall length of compact and full-size—think Ford Focus and Fusion—the Regal doesn't come up shy in front-seat space. Base models have more mildly shaped seats than the GS' buckets—they have much better bolstering—but they're all trimmed in leather. We'd ask for more support on the base Regal's bottom cushions, but head and leg room aren't constrained—unless you slide the seat forward and opt into the sunroof. The Regal's back seat is rated for three people, but two adults could have trouble fitting in. Leg room is similar on the spec sheet to that in the Honda Accord, but something about the cushioning in the Regal makes the back seat seem less spacious—while it's still about three inches more generous than the same space in the Acura TSX. For sure, the roofline meets more heads than in taller sedans, but it's comparable to truly large four-doors like the VW Passat in that respect. Cargo capacity isn't the Regal's strongest suit, either. With just 14.3 cubic feet of trunk room, it's about 3 or 4 cubic feet smaller than other sedans, and a piece of luggage less than the enormous 20-cubic-foot trunk in the Ford Taurus. The Regal gets good crash-test scores, with a slightly lower front-impact score from the NHTSA. The Regal earns good, but not perfect, crash test scores from the Feds, and the insurance industry's given it good marks in the past. The Insurance Institute for Highway Safety (IIHS) hasn't yet updated its Regal scores for the new model year, but in 2013 it scored a "good" rating in all tests. The IIHS hasn't yet put the Regal through its new, tough, small-overlap front-impact test, though. The National Highway Traffic Safety Administration (NHTSA) awards the Regal a rating of five stars overall. 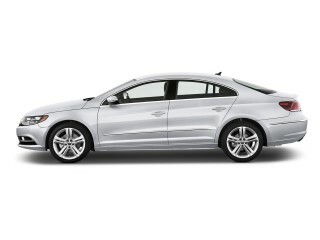 It's given four stars for front-impact protection and rollover resistance, but five stars for side-impact protection. For 2014, the Regal's body structure doesn't change, but its safety offerings are upgraded considerably. A rearview camera is now standard on all Regals, while the GS also gets standard front and rear parking sensors. That's in addition to the usual airbags, and the Regal's optional rear-seat side airbags. The Regal doesn't have much of a problem with visibility, and uplevel Regals do have rear parking sensors, with an option for front sensors. Still, some of its new safety options may appeal: adaptive cruise control, blind-spot monitors, a lane-departure warning system, and a forward-collision warning system are all now available in the Regal. Bluetooth and leather are standard; Buick's IntelliLink infotainment and navigation interface gets a bigger, better screen. 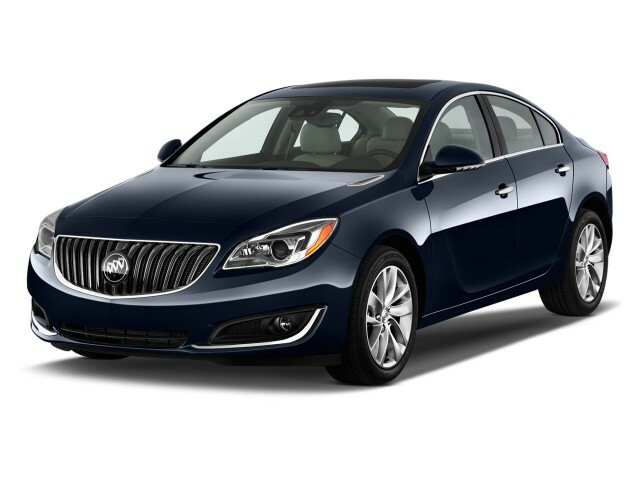 For 2014, the Buick Regal carries over with its base eAssist model, but both its turbocharged models—the Regal and the Regal GS—slot in a new turbocharged engine and an all-wheel-drive option for the new model year. The Regal competes with the likes of the Lincoln MKZ and Acura TSX, so standard features are plentiful. However, the Regal's price has risen for the new model year as well; it's now priced from just over $30,000, up by about $1,000, while the Regal GS tops out at more than $40,000, as much as $2,000 higher than the 2013 model. The base version is no longer the eAssist; a turbocharged model takes its place as the least-expensive Regal. All Regals come with leather-trimmed front seats with a power driver seat and seat heating; a rearview camera; a leather-trimmed steering wheel; automatic climate control; cruise control; power locks, windows, and mirrors; and an AM/FM/CD/XM audio system with a USB port. The audio system and the Regal's connected mobile phones are controlled by IntelliLink, which now gets a larger 8-inch LCD touchscreen integrated into a much less complex center stack of controls. The touchscreen interface allows users to reconfigure the home screen, to choose up to 60 favorites across its suite of applications, and to store up to a thousand contacts—while integrating smartphone-based streaming audio and accessing navigation with natural-voice commands. IntelliLink also displays redundant information on a 4.2-inch screen tucked between the gauges. The Regal eAssist and Regal Turbo sedans with Premium packages are both priced from $32,485, and get remote start; rear parking sensors; a heated steering wheel; and a power passenger seat. The $37,830 Regal GS with front-wheel drive has the adjustable suspension as standard equipment and its own 19-inch wheels; 20-inch wheels and summer tires are an option, as is a sunroof. Also on the Regal GS, the center of the gauge cluster swaps out for an 8.0-inch LCD screen with customizable looks for different driving modes (Touring and GS). The Regal GS also offers the lineup's only manual transmission, a no-cost option. With all-wheel drive, the Regal GS' base price rises to $40,195. Buick's latest navigation system, an option on the Regal, eliminates our biggest complaint with previous models. The touchscreen display makes entry of destinations much easier. You can choose a turn-by-turn navigation service offered through OnStar, which doesn't have any resident maps or POIs in the car. Gas mileage--even in the eAssist mild-hybrid Regal--isn't the best, but the new turbo four does a little better. The Buick Regal gets more adept at using less fuel this year, in turbocharged versions, at least. It's still behind the benchmarks set by some larger mid-size cars, particularly when the mild-hybrid eAssist model is put into context. The eAssist had been the base Regal since the 2012 model year, when Buick dropped its non-turbo, non-hybrid standard engine. This year, a less-expensive version of the turbo supplants it as the entry-level Regal. The eAssist combines lithium-ion batteries and motors to boost acceleration when the Regal accelerates—in tandem with a larger-displacement four-cylinder engine—but it's a bit more limited in scope and intent than a true hybrid. The Regal eAssist can't run on electric power alone, for example. 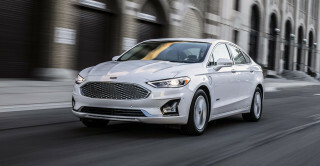 As a result, its EPA gas-mileage ratings of 25/36 mpg, or 29 mpg combined, aren't in the same league as the Ford Fusion Hybrid's 47/47-mpg rating, or the new Honda Accord Hybrid's 47-mpg combined rating. 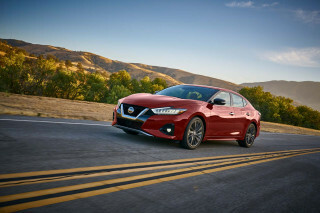 In fact, it's not much more than the non-hybrid Hyundai Sonata and Kia Optima, or the EcoBoost 1.6-liter Ford Fusion—and it falls well behind the 38-mpg highway registered by the Nissan Altima. 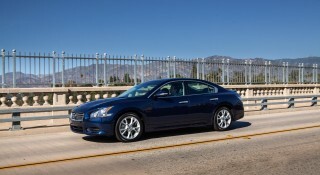 Opt for a turbocharged Regal, and mileage slumps, with either the automatic or the manual transmission. The Regal's turbo 2.0-liter four earns a 20/31-mpg rating when paired with a manual transmission, or 21/30 mpg with the automatic. 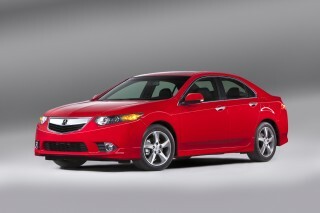 With newly available all-wheel drive, the Regal is rated a bit lower, at 19/27 mpg, or 22 mpg combined. Conclusion Gas mileage—even in the eAssist mild-hybrid Regal—isn't the best, but the new turbo four does a little better.